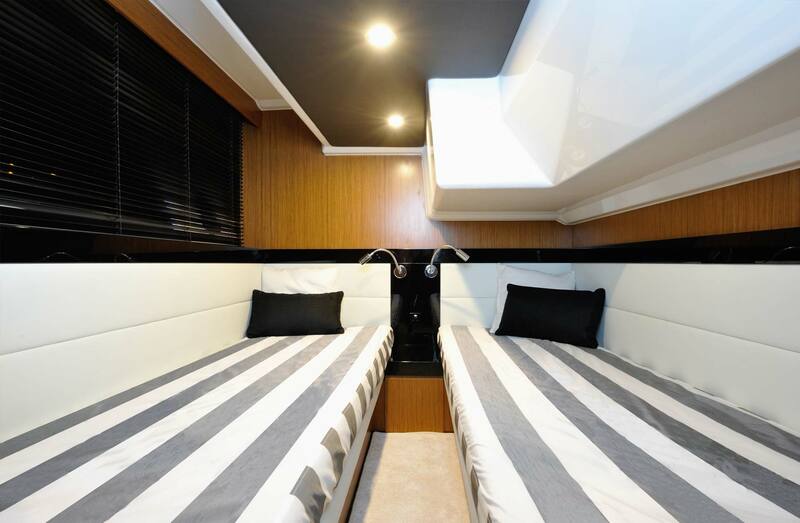 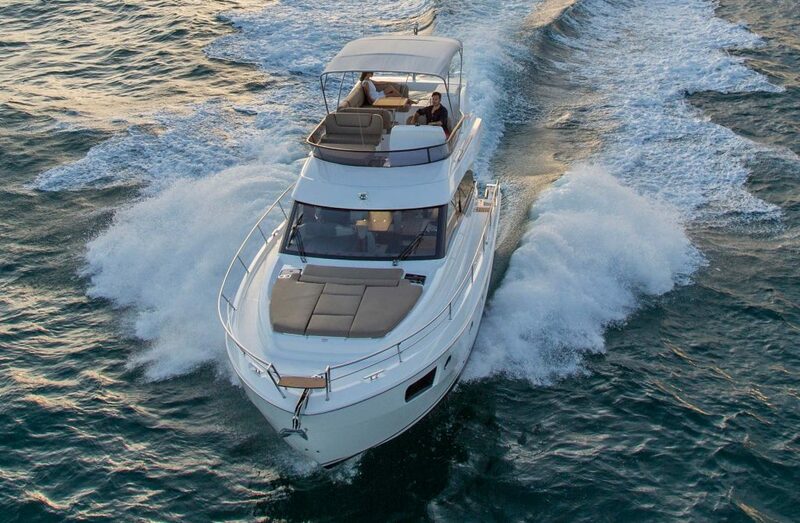 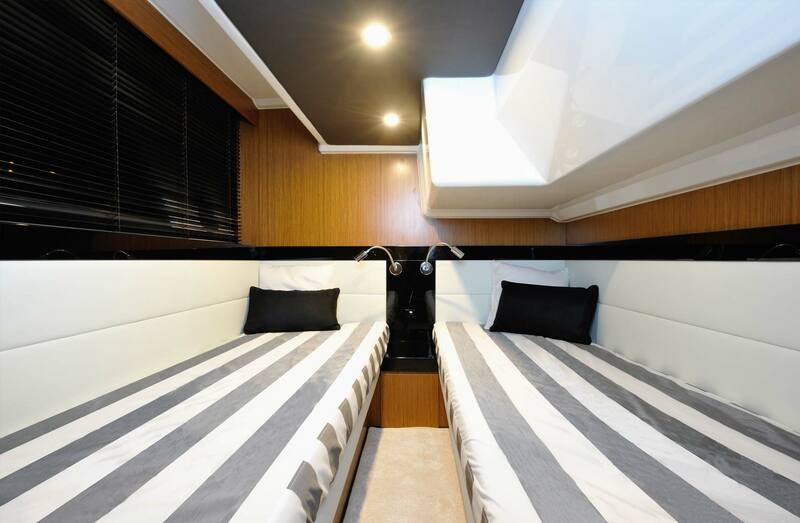 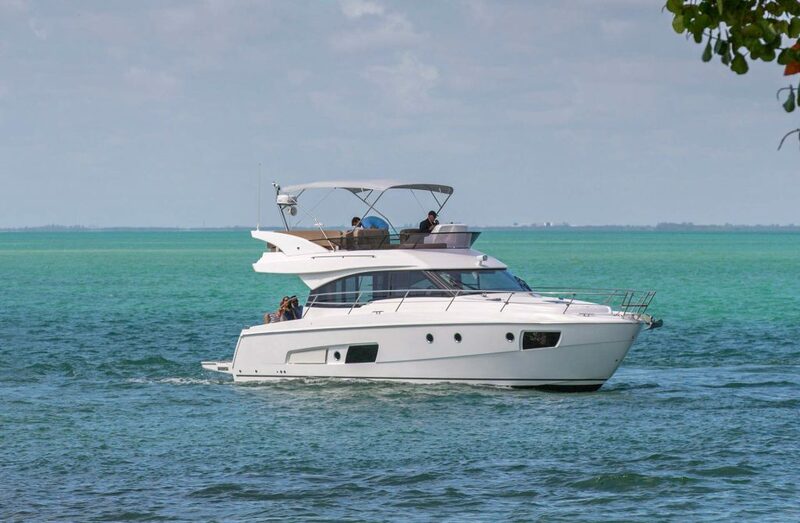 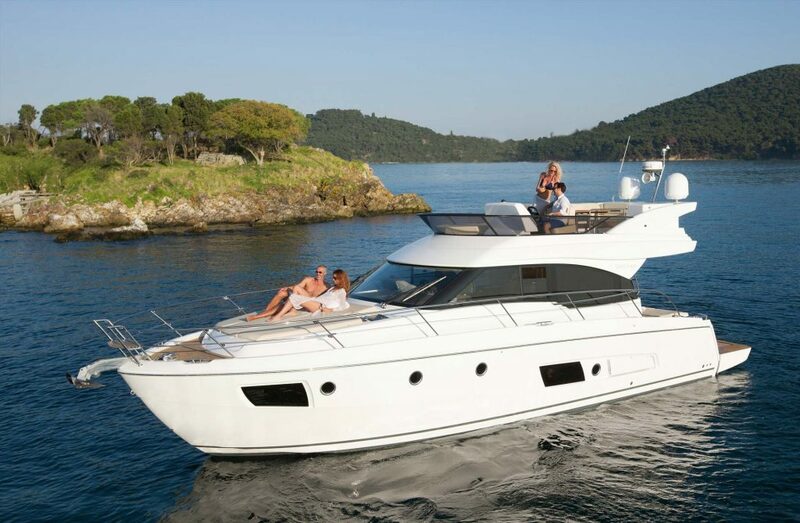 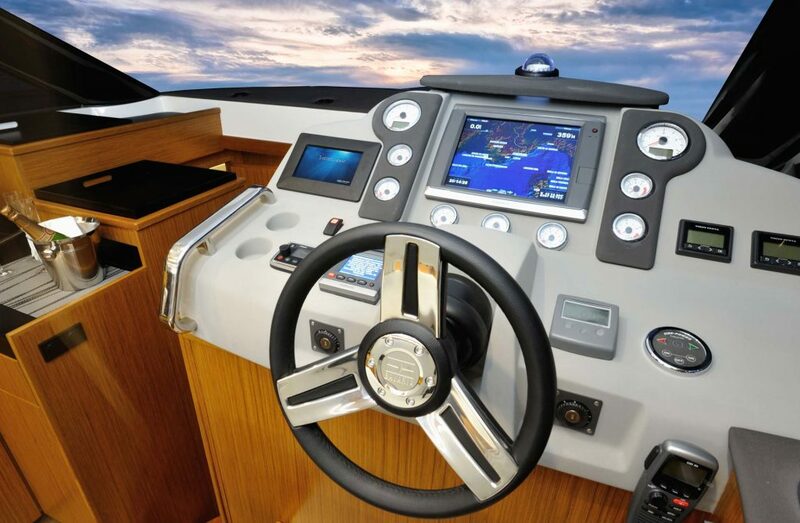 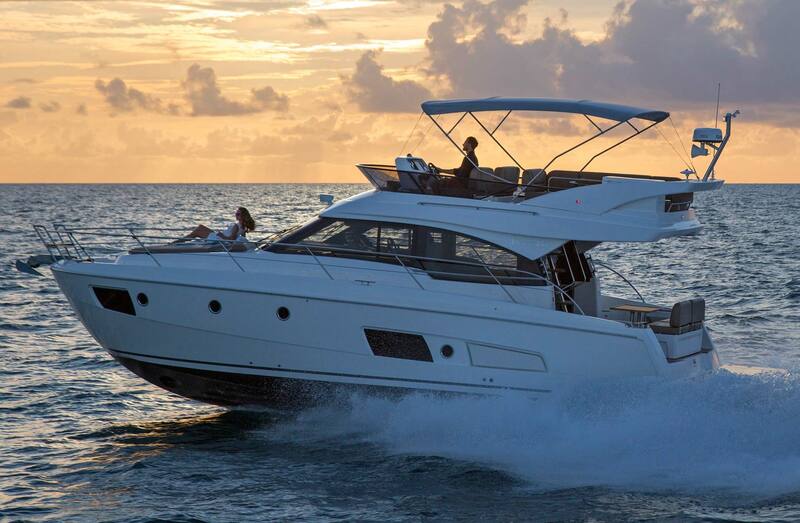 The Bavaria Virtess 420 Fly feels as if you were at the wheel of a convertible, the ambiance of a fine dining restaurant on the aft deck, the luster of a suite at a 5-star hotel in the saloon or the three cabins and driving dynamics of a German luxury class sports car. 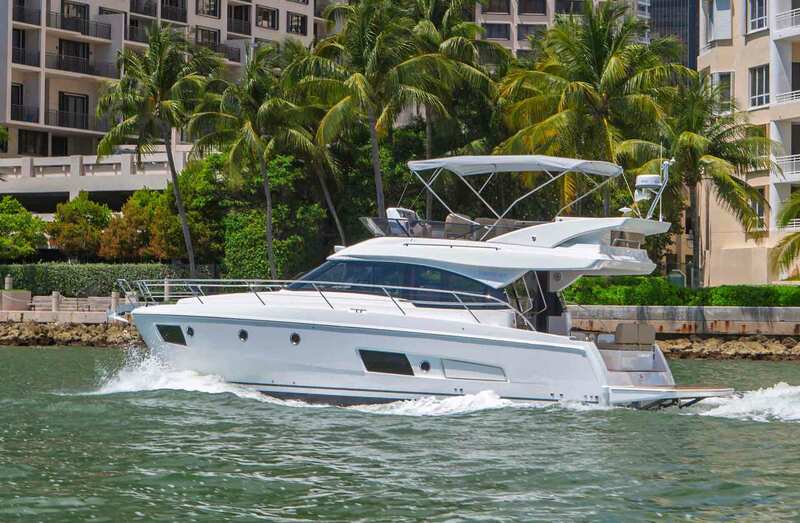 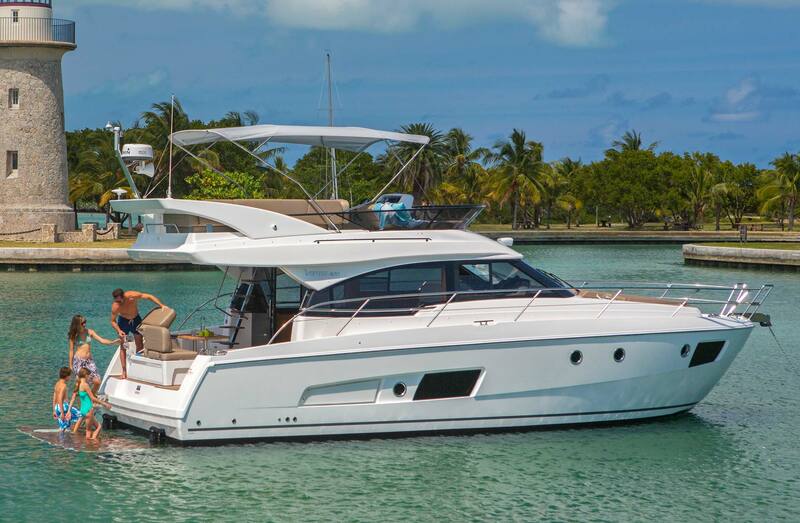 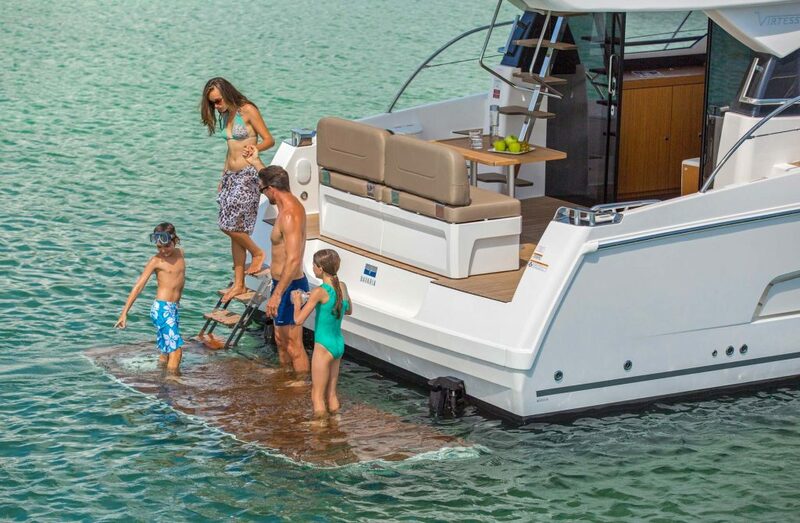 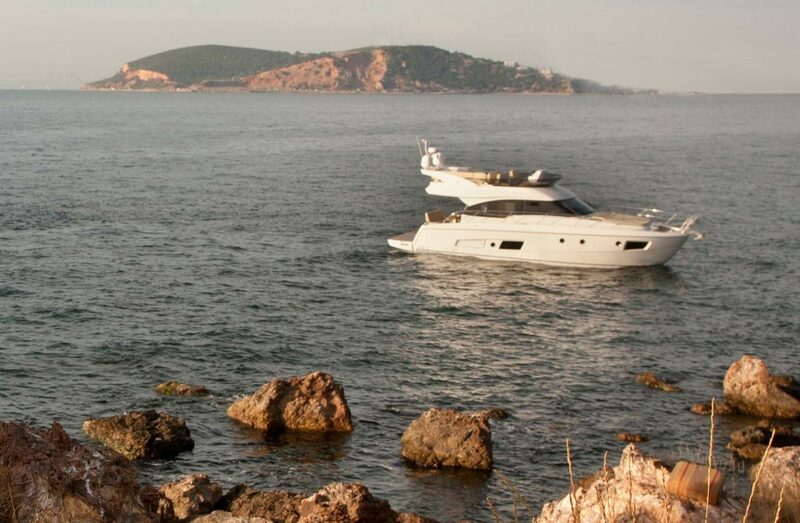 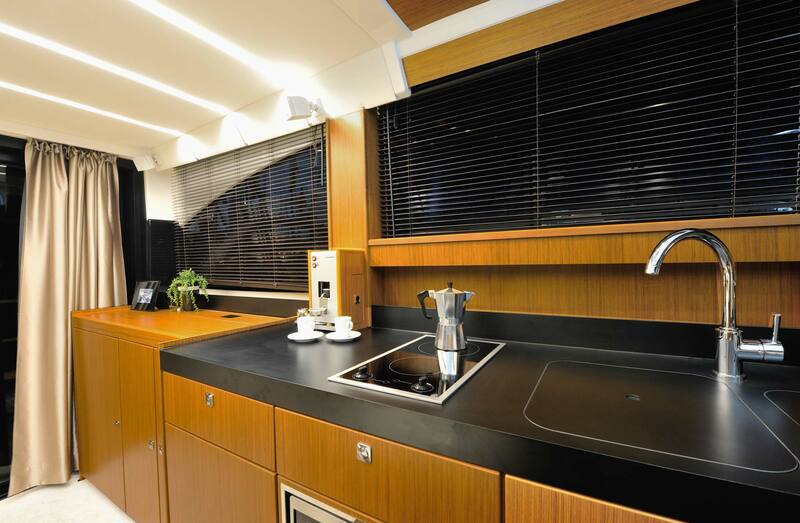 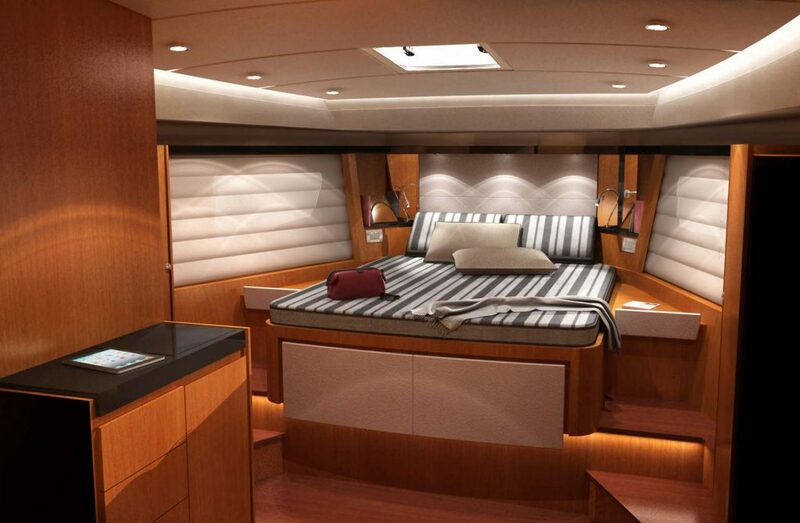 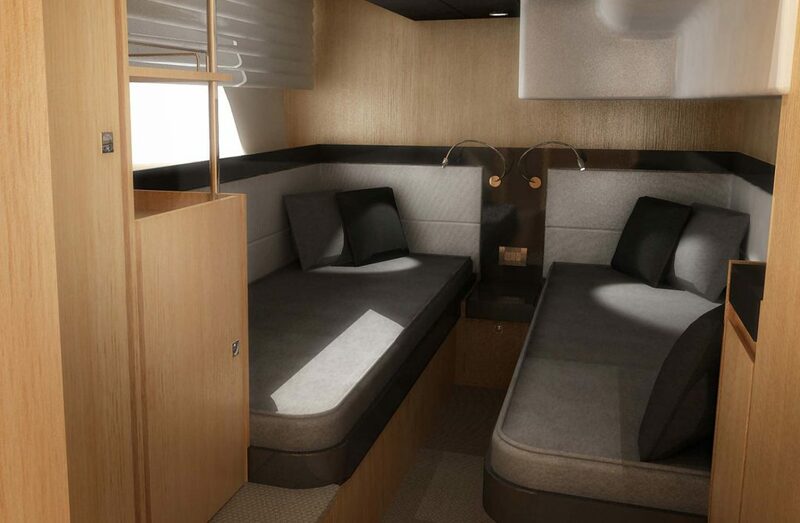 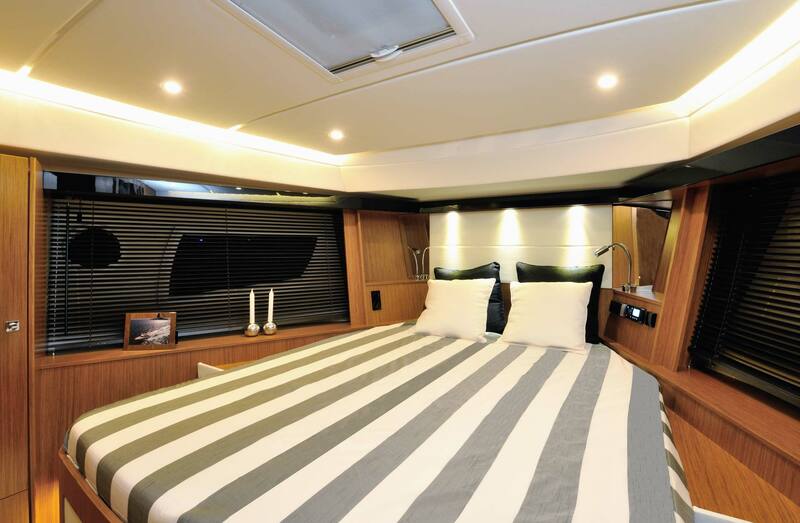 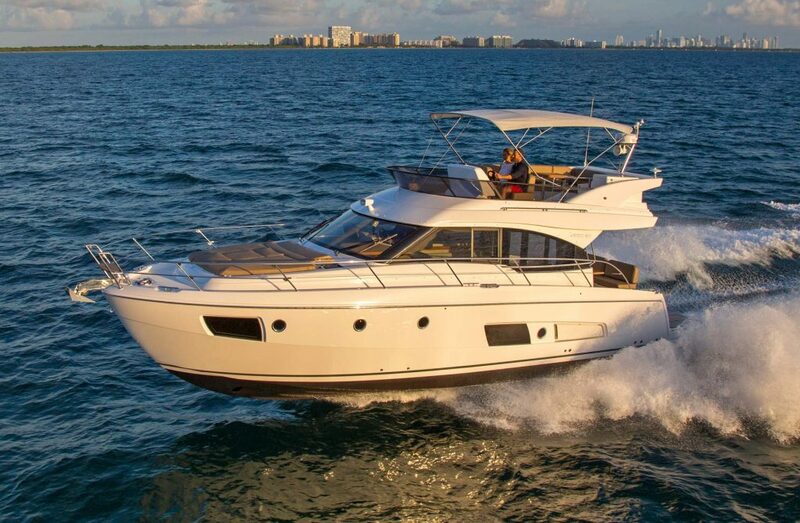 The Bavaria Virtess 420 Fly has an impressively large flybridge with a driver’s seat for two people. 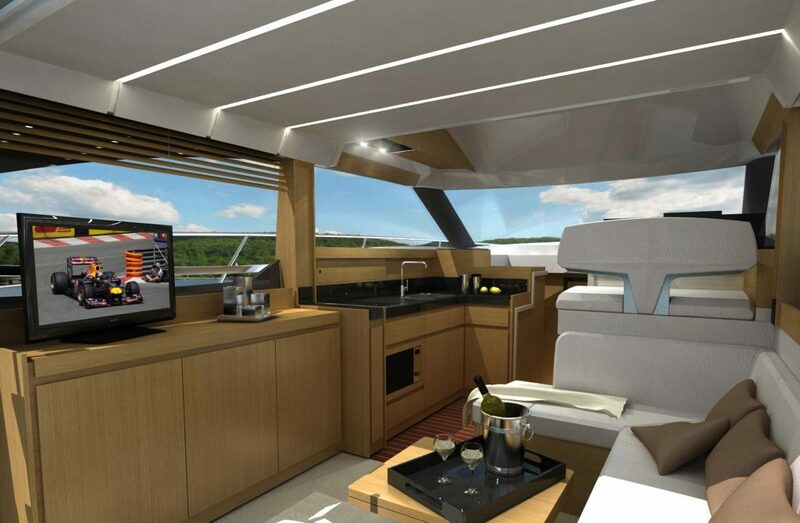 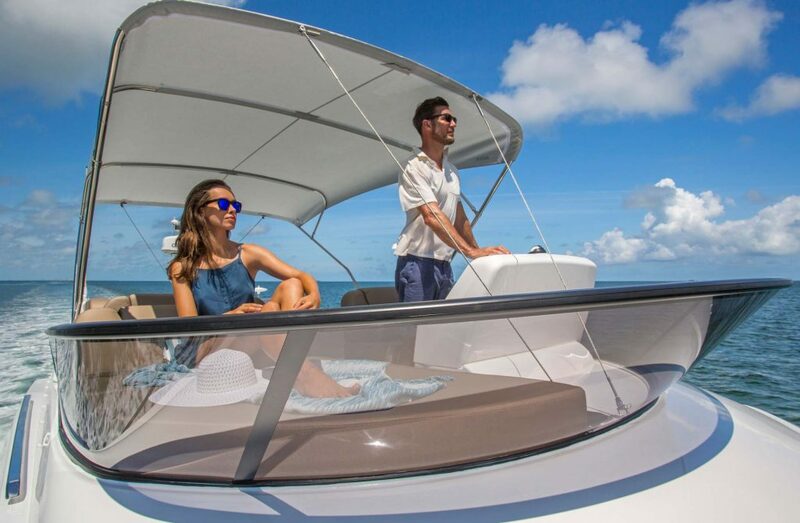 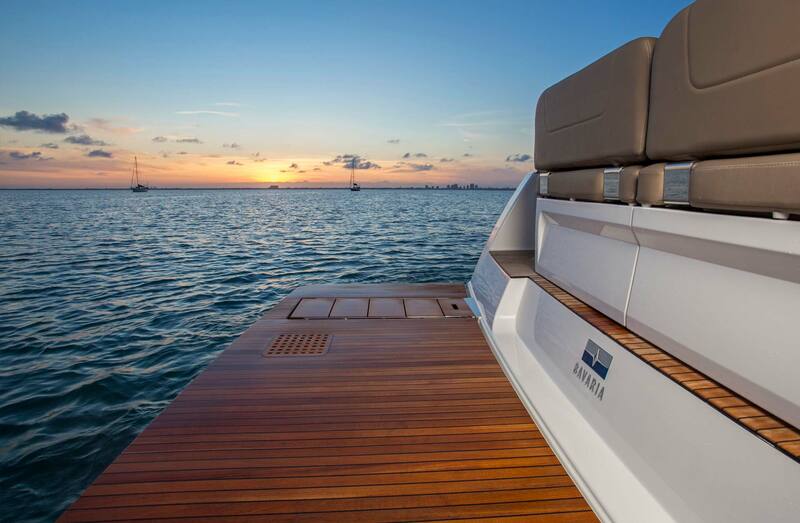 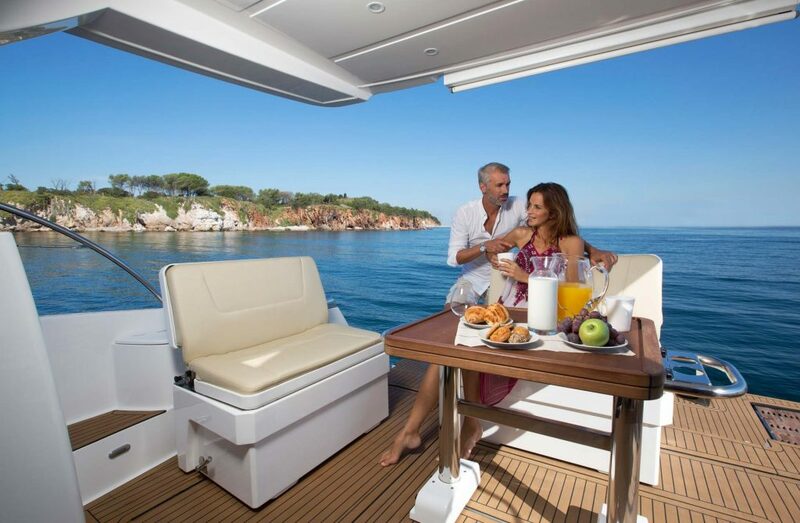 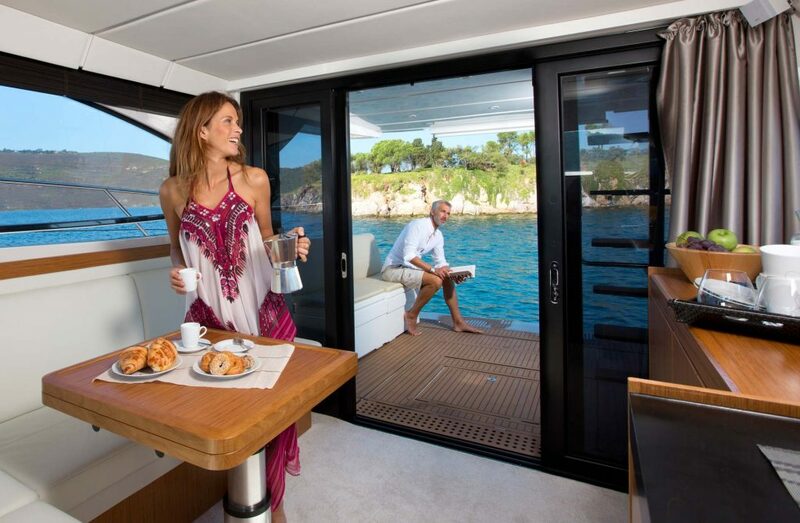 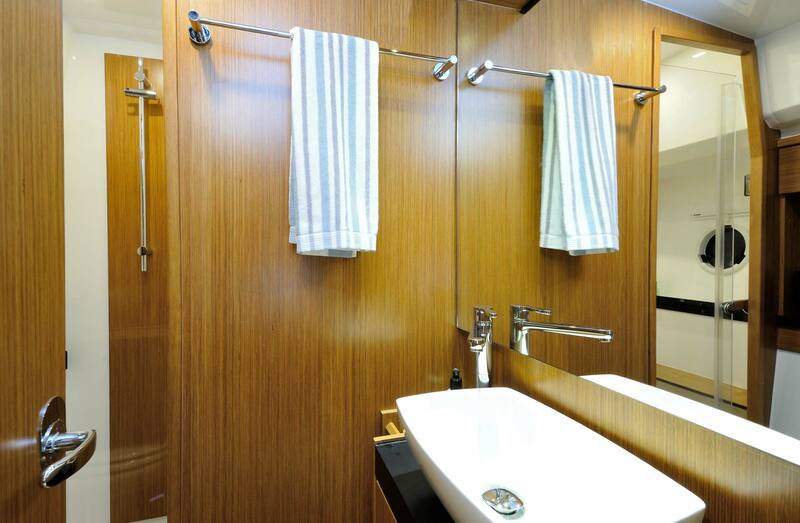 The spacious sitting area on the flybridge has everything you need for a relaxing aperitif before dinner – including a wet bar and refrigerator. 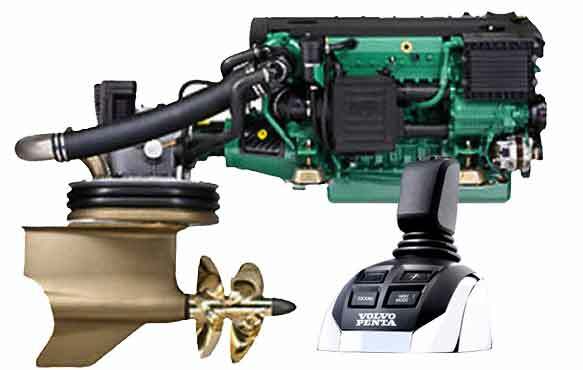 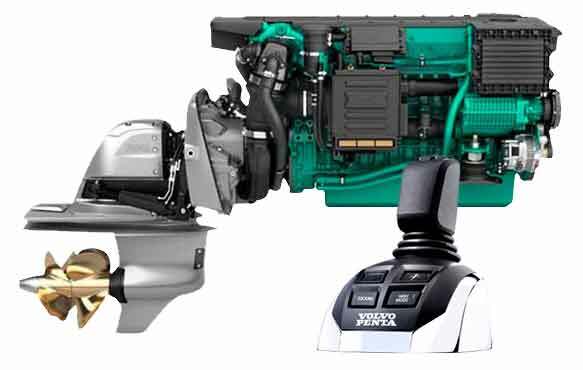 From the moment when you are controlling the Bavaria Virtess 420 fly powerful drives with a few small movements of the joystick to steer her out of the marina, you realize with just how much precision a VIRTESS can be maneuvered. 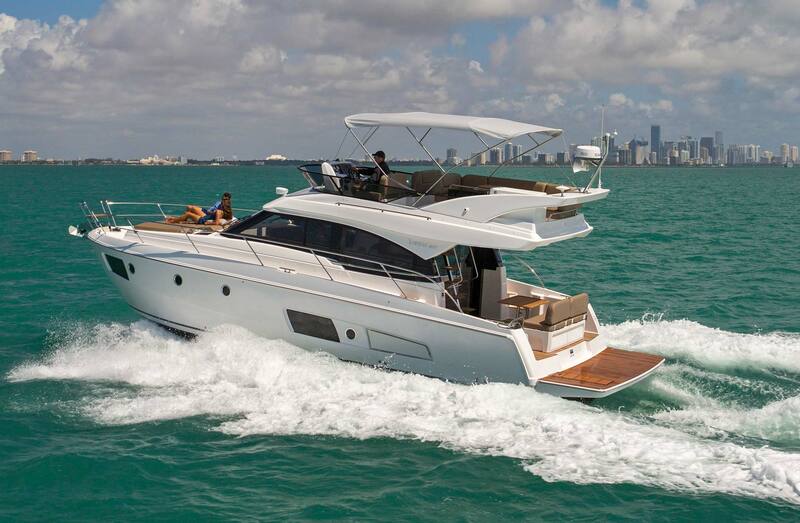 Bavaria Virtess 420 FLY is the perfect family yacht, and winner of the 2015 European Boat of the Year. 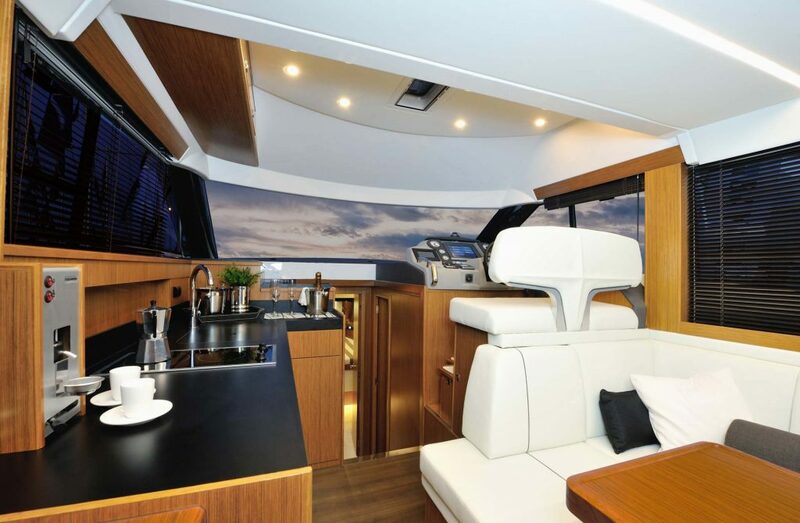 Another click and you will learn more about what makes the BAVARIA Virtess 420 FLY so unique. 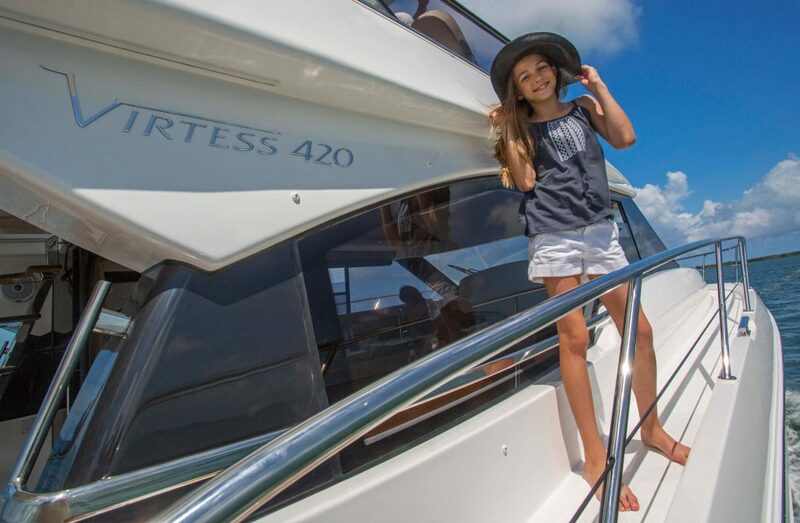 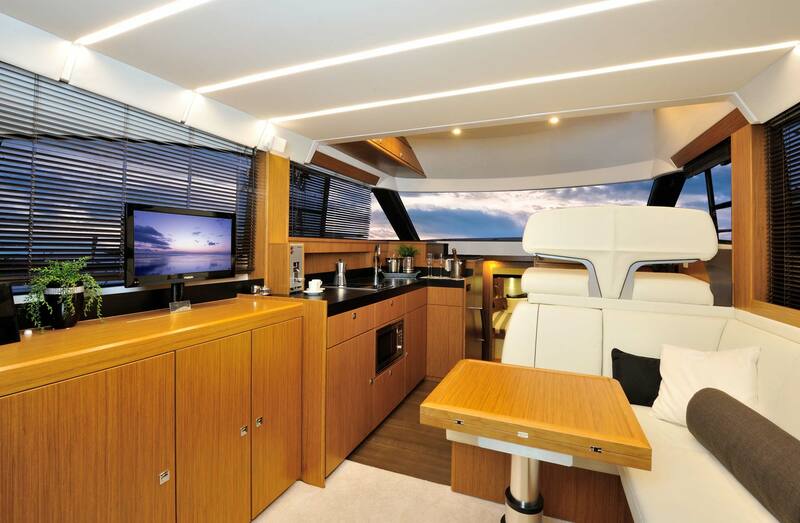 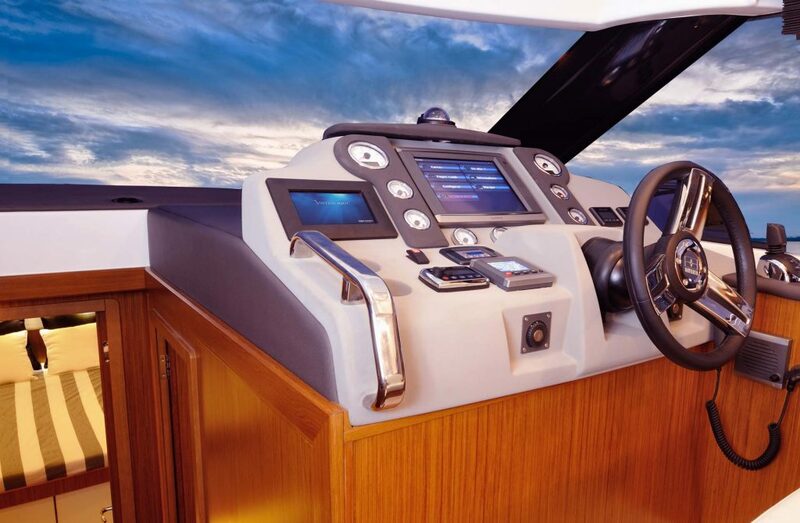 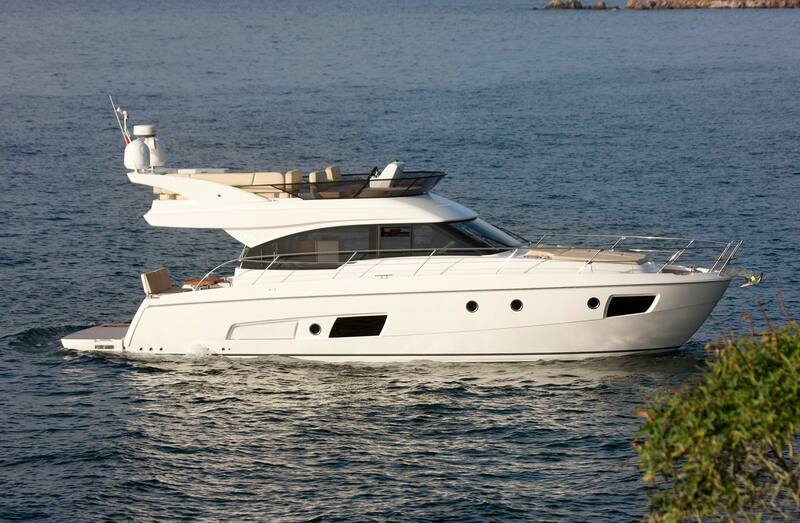 Do you want to configure a Bavaria Virtess 420 Fly ?